I am Maria and I am an owl-coholic. * I love the little critters and I have a vast collection of owl prints. I added to this when I made an order at Dainty Roses last week. Mark treated me to this gorgeous necklace and also added in a lovely brooch to my order. I love the fact that it has a watch in its tummy too which is revealed when you squeeze his ears together... absolutely amazing! I'm hoping this rather scary looking face mask will also help. I'm not patient enough to leave face masks on for very long but I this one peels off making it a lot less messy and hopefully easier to use! Do you have any addictions? How do you celebrate? ** I realise that this sounds like an advert for Dainty Roses but Mark bought this with his own money and we would both definitely recommend this! Owl theme is odd - but it's very quirky and you! aww i love the necklace and hip flask...soooo cute!! Oh how I love all your owl goodies! Tea pigs tea is THE best. I love their peppermint, and also the chai. Mmm. I love owls. I have a really pretty owl necklace. Your one is so adorable though! good luck for all your exams. 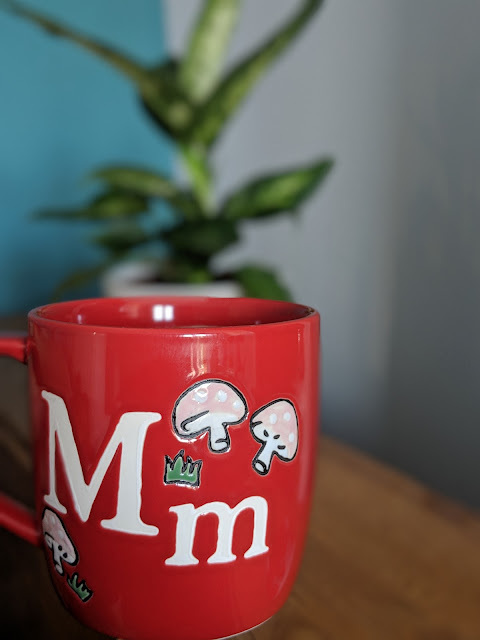 Oh M G - I love the mug gif you've made - so cute! The hip flask is awesome too, and anything with owls on of course!